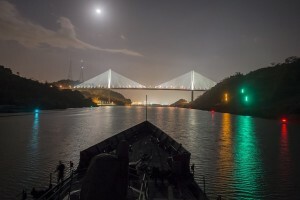 Panama, “Bridge of the Americas”. In this tiny nation that unites both North and South America; new and old collide, to form one of the most culturally diverse countries in the region. Panama has it all: vast tropical forests, breathtaking beaches and fishing spots, and amazing must see attractions. Panama has nothing to envy its neighbors to the east, Colombia, or to the west, Costa Rica. It’s small but diverse territory, is constituted of more than one thousand islands, mountains, white sand beaches, and luscious jungles. Besides its pristine natural beauty, Panama City is considered the most cosmopolitan city of the region, with an exuberant night life, excellent leisure and shopping activities and incredible facilities to conduct business. This is why Panama has become the “Hub of the Americas” for all mayor airlines, and the “Home Port” for many cruise ship liners of the area. Considered by International Living one of the top 25 places of the world to retire in. Panama has something for everyone, as Ruben Blades says: “Panama it will never leave you”. The Panama Canal is a must see wonder of the world in Central America. The Panama Canal was built in nineteen fourteen by the United States to create a one of a kind water way between the Atlantic and pacific oceans. It was decided that this small isthmus was the perfect place for it since its route would be the shortest approximately forty eight miles long. It works by using a locks mechanism through the can where one ship arrives and it lifts the ship to the current level of the lake and as it passes through each lock it is raised or lowered as needed until reaching the Pacific Ocean. This Modern wonder of the world is great feet in human ingenuity and resourcefulness and a must on any visit to Panama. Along with the Panama Canal there is another great site along this route it currently part of the Pan American highway. Since the construction of the Canal the two parts of the county needed to be put back together because the only small bridge to cross the canal could not hold the heavy traffic any longer. So the United States in the late fifties created the Bridge of the Americas. As recent as two thousand and four the new Centennial Bridge has been constructed and the Pan American highway redirected. But this bridge still stands as a temperance of the times of great ingenuity and connecting the world. There is an old historic section of Panama City, original built in the late 1600’s after Panama Viejo was originally destroyed. The old hamlet is now a historical location within Panama City. It contains the original Spanish architecture and reminiscent of a simpler time. When you walk down the low cobble stone streets still in their original condition you can still smell the bread baking from the bakery. When The Panamanian people use to make it back in the days when El Casco Viejo was at its peak. Around the outskirts of the tare is a large wall originally used to keep invaders out. Along the main route is the National cathedral and the Presidential Palace. Each of these historic locations is a testament to the times when Panama City was only growing its roots. This is a great location to really delve into the past of panama cities history and see what the culture was like during this time another must for any historical stops along your route. 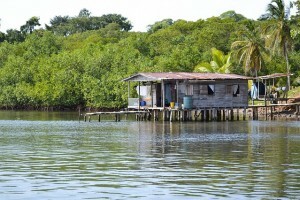 Wedged in between two oceans, Panama offers a variety of beaches, both on the mainland and on islands offshore. Both coasts feature incredibly beautiful beaches with crystal clear waters, white sand, coral reefs and coconut palm trees. From small coves to miles of open beaches, from sensual sandy beaches to rugged coasts, from popular beaches to deserted beaches, there is a beach vacation for anyone in Panama. With so many possibilities, in Panama the challenge is choosing which one to visit! You’ll hear a lot of talk about duty-free shopping in Panama, but it is exaggerated. Really, the only place you can duty-free shop is at the plethora of stores at the Tocumen Airport. Shopping complexes such as the Flamingo Center on the Amador Causeway limit duty-free purchases to cruisers landing at their port. Even the duty-free zone in Colón is overrated, as most wholesalers do not sell to independent travelers. The major shopping malls here offer excellent quality and national and international brands, though prices are comparable to those in the United States. The official currency of Panama is the Balboa (PAB) which is available only in coins. This coins shape, size and value is the exact same as the US Dollar (USD). A visa is required by all except the following for stays of up to 90 days (at the discretion of the Immigration authorities): Argentina, Slovenia, Latvia, Republic of Korea, Andorra, Estonia, Letonia, San Marino, Austria, Finland, Lichtenstein, South Korea, Belgium, France, Lithuania, Singapore, Bolivia, Germany, Luxembourg, Spain, Brazil, Greece, Malta, Sweden, Chile, Great Britain, Monaco, Switzerland, Costa Rica, Guatemala, Netherlands, The Uruguay, Colombia, Honduras, Nicaragua, Vatican City, Cyprus, Hungary, Norway, Czech Republic, Iceland, Paraguay, Denmark, Israel, Poland, El Salvador, Ireland, Portugal, Slovakia, Italy.